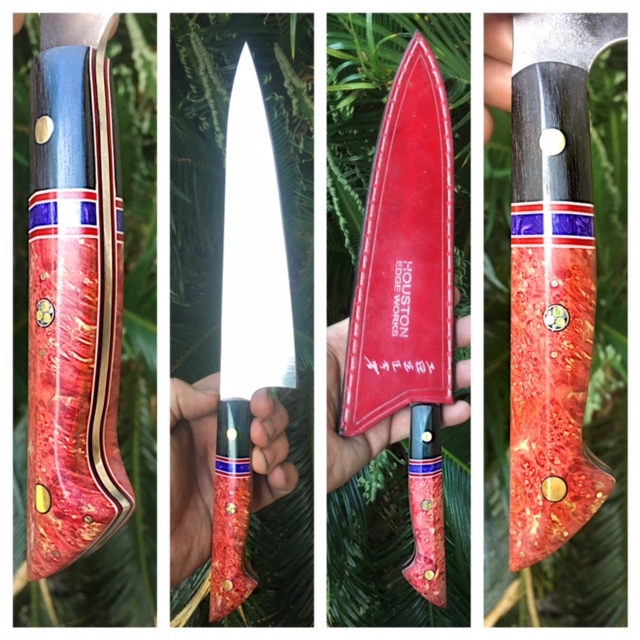 Custom Handmade Knives - For Sale! 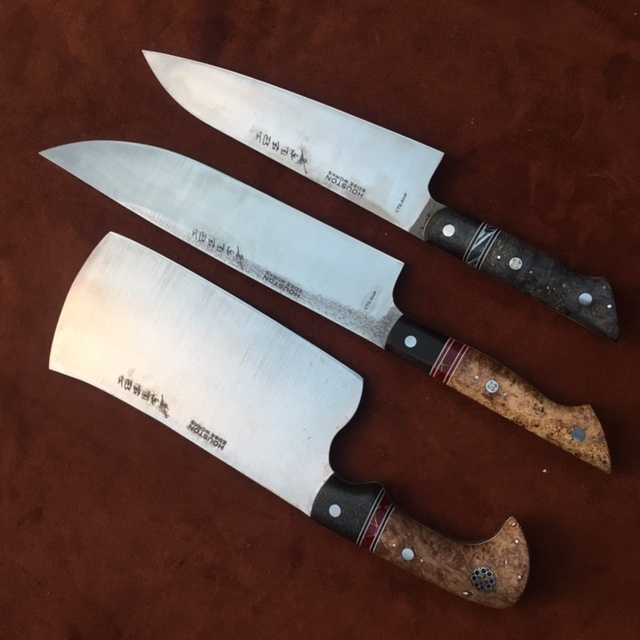 Welcome to Houston Edge Works where high performance, world class kitchen and professional cutlery is custom handcrafted one at a time from advanced, premium, and exotic materials available. I use stainless and carbon steels that can achieve and maintain the sharpest edges and have advanced alloy properties that resist abrasion and maximize edge retention to a level not available by commercial blades. 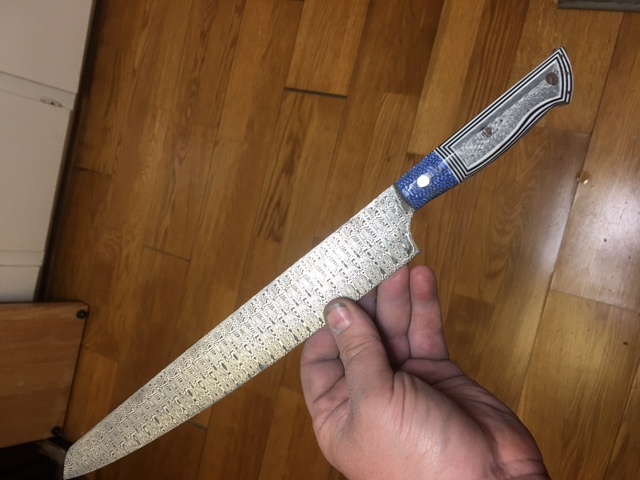 Each custom knife is individually designed and hand made by me in my shop to be the finest culinary tool in your kitchen. 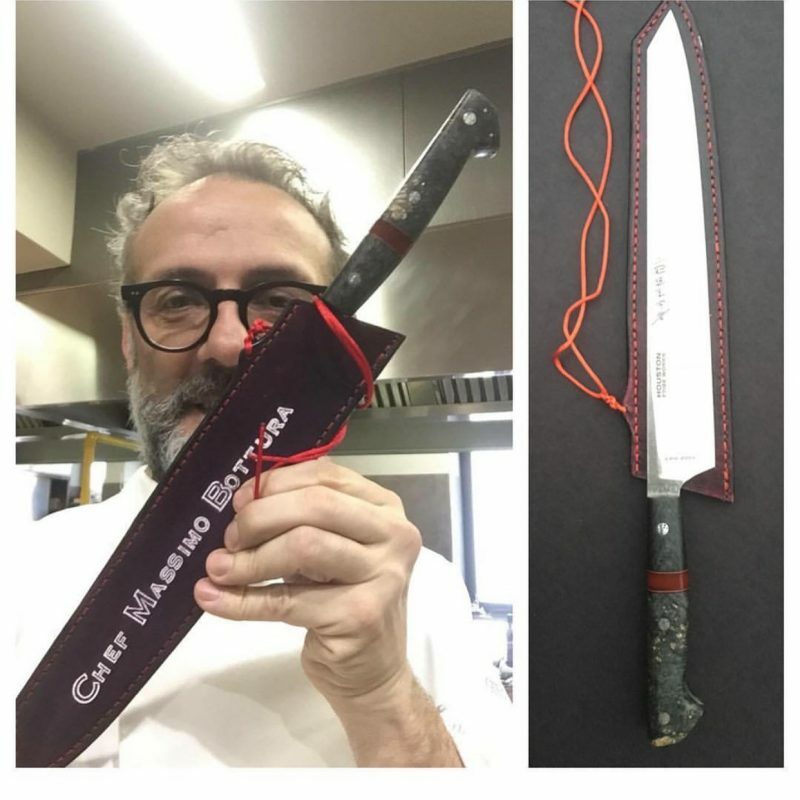 They are designed for both the culinary professional, home chef, and pathologist and will provide a lifetime of service and enjoyment. 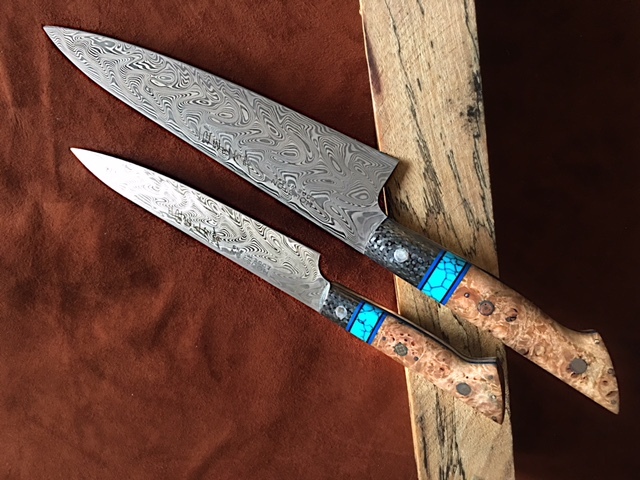 My inspiration is from the best and classic designs of Japanese, French, and German blades with modern and custom modifications for optimum performance and comfort. Handles are custom designed for optimum comfort and ergonomics and can be specially designed for your needs, hand size, grip style, or grip strength. I can customize handles for those who have suffered hand injuries or have arthritis. Materials available include exotic woods and burls, carbon fiber, fiberglass composite (G-10), precious metals, and gems.